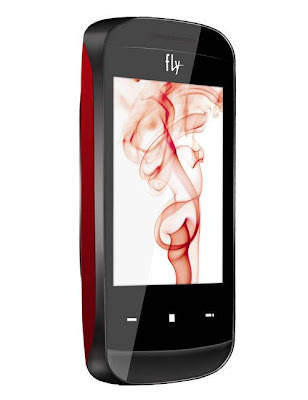 Fly is the new mobile manufacturing company that has come with many good models of mobile phone that are to be launched in the Indian market. The Fly Company has decided to launch the two brand new models and that is Fly A140 and Fly Q410 Princess in the Indian market. These two mobile phones come with many great features and thus the Indian customers are likely to love these mobile phones. The Fly A140 and Fly Q410 Princess are to be launched soon in the Indian market and thus will be ready to rock the Indian market with its great features. The price of the Fly A140 is around Rs. 5, 500 and the price of the Fly Q410 Princess is not yet announced. The Fly A140 and Fly Q410 Princess are having many attractive features. The mobiles are enabled with many exciting features. 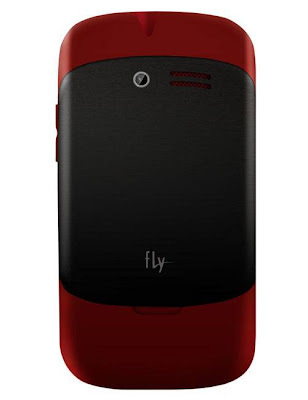 The Fly A140 is a very good mobile phone which is provided with many qualities. The mobile is having dual SIM facility and thus two SIMS can be used at a time. The look and the design of the mobile phone are very nice. The battery back up of this mobile is very nice. Bluetooth and USB facility is also enabled in this phone. Gaming facility is also provided. The Fly Q410 Princess is also having great features and functions. The look of this mobile is also very nice. The mobile is provided with audio and video players that are having nice quality output. The camera of the mobile also provided good images. The Fly A140 specifications are very clear and out. The Fly A140 dimension is 107 x 57 x 11.3 mm. the weight of the phone is just 97.7 g. the mobile is having 2.8” TFT full touch screen display which supports 262K colors. The mobile is also having 1.3 MP camera whose allows us to take good snaps. The internal memory of the phone is 4.9 MB and the external memory of the phone can be increased up to 16 GB. The Fly Q410 Princess dimensions are 115 x59.5 x 11.5 MM. The weight of this mobile phone is 94G. The dual SIM facility is also present in the mobile phone. Messaging facility is also very nice in the mobile phone. The camera is of 3.2 MP whose picture quality of the snaps is very nice. GPRS facility is also there in the mobile phone and thus internet can easily be accessed through this phone. Fly A140 and Fly Q410 Princess are very superb set and are expected to rock the Indian market.